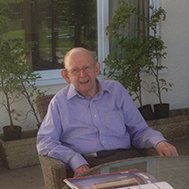 We are sad to announce the passing of our founder, Mr John Walton, he died peacefully in his rest home on Thursday 4th August at The Manor House in Chatburn, Lancashire, aged 85 years old. John established Steon Lighting in 1971 with his wife Nancy and retired as Managing Director at the age of 65 when Nigel, his son, became the new Managing Director. John continued with part time work for the local Chamber of Commerce and became President, he was instrumental in creating a local Bank of England group as chairman, lobbying for SME’s. John will be sadly missed by colleagues, staff and all of his family. The funeral is to be held at St Peters Church, Salesbury, Lancashire at 11.00am Friday 19th August 2016.